To celebrate global production of the MX-5 passing 900,000 units, Mazda is introducing a new special edition of its iconic sportscar. 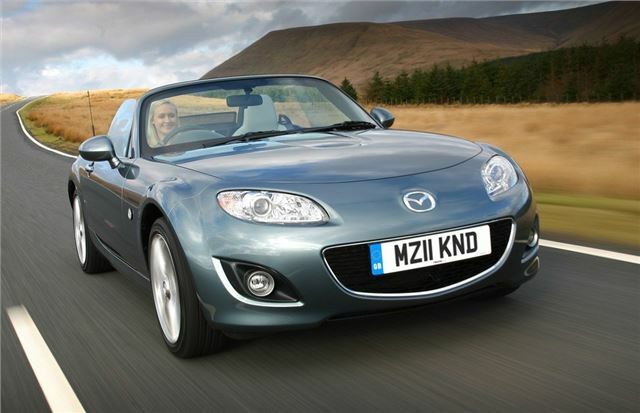 The Kendo special edition is available from 1 March 2011 and two versions are available - the Mazda MX-5 1.8i Kendo soft-top at £19,255 and the more powerful Mazda MX-5 2.0i Kendo roadster coupe which is priced at £22,320. Based on the SE trim, both Kendo models feature a unique stone leather interior (with stone coloured stitching on the steering wheel, gear lever and handbrake), unique 17-inch alloy wheels, exterior badging, front fog lamps, heated seats, plus brushed aluminium style trim and aluminium pedals. The Kendo Roadster Coupe boasts three additional items of equipment - a premium Bose audio system, Bluetooth and cruise control. Both versions offer a choice of Sparkling Black or Dolphin Grey mica paint finish - free of charge. Mechanically the Kendo models are identical with their regular counterparts so the Kendo soft-top is powered by a 126bhp 1.8-litre engine while the Roadster Coupe has a 160bhp 2.0-litre unit. And if you're wondering, the ‘Kendo' name comes from the Japanese for The way of the Sword - a modern Japanese martial art renowned for its fighting spirit, eye-catching dynamic movement and refinement.